For many students, May and June are synonyms with the end of a school year. It’s also the long-awaited time to receive their graduation diploma. 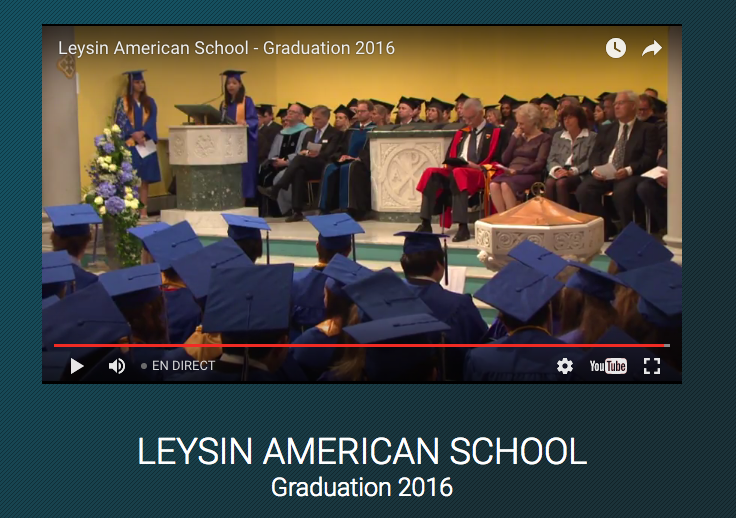 Every year, many international schools in Switzerland that collaborates with globalvision in order to broadcast their graduation ceremonies via live streamare Les Roches, Collège du Léman, Leysin American School and Aiglon College. The live stream of graduation on Internet helps students’ parents and friends who are from all over the world to watch this special day all together. Streaming and webcasting service by the professional crews of globalvision allows schools to use our expertise, advanced equipment and know-how methods to effectively stream graduation ceremonies or events live on Internet for maximum visibility. All of the live streams are entirely customizable and integrable on any websites which can be openly shared or privately displayed with a secure access. Contact us today to enquire a live stream for your coming event.